Directory of 72 Texas Dove hunting lodges, guides and outfitters in Texas. Welcome to The 4 Robertson Ranch, a premier hunting destination in Jacksboro, Texas. The 4 Robertson Ranch is 1100 acres of woods, springs, rock cliffs and over a mile of the West Fork Trinity River dedicated to hunting and fishing. We offer a number of species for your pleasure such as Aoudad, Axis, Blackbuck, Dove, Duck, Gemsbok, Mouflon, Turkey, Whitetail and Wild Hog. Now booking for 2015 season! Dove season starts Sept. 1st. 4P offers an outdoor experience like no other. We LOVE hunting as much as you do, and what we enjoy most is watching your hunting dreams come true. We offer the largest variety of hunting adventures to make your experience unique, fun and exciting. We can combine activities to make your experience as unique as you are. Are duck hunting and hog hunting your passion, or maybe rabbit and dove hunting? We can make any combination of hunts available to you at one place. Your not limited to just one activity here. We also have an experience to meet every budget. On Day 2, after a full breakfast, you will hunt in the morning and return to the lodge for lunch. If you bag your limit of doves in the morning, you can play golf, fish or shoot clays in the afternoon. September in South Texas welcomes waves of dove and hunters as Dove season opens! The 777 Ranch is the perfect place for hunters both new to the fields and those with a great deal of experience under their belts. All hunts are guided and include great food and a good time! Groups from 2 to 50 can enjoy the 777 Ranch Dove hunting experience! All Seasons Guide Service specializes in full service dove hunts with great accommodations and meals. We are located in Victoria County two hours south /west of Houston. We have a tremendous amount of agriculture in the area with milo, corn and soybean fields available to hunt as well as our own fields that we plant and manipulate. Avian Skies Texas Dove Hunt A dove hunt includes a fully guided evening hunt in an intensely habitat managed field (food plots and watering holes), complementary Mojo doves, complementary dove decoys, and complementary ice cold bottled drinking water. The Best Dove Hunting In South Texas! Over 25 years Hunting experience Hunting in the Sabinal area with over 20,000 aces available we always have Birds almost all Hunting is over grain, with easy access to all Farms & Ranches. We Have a the Birds. While dove hunting is without a doubt the single most popular form of bird hunting and wing shooting in the great state of Texas. We feel that our Dove Program is quite unique versus other state wide hunting outfitters. Located in the heart of the North West Texas Rolling Plains region, Truscott is positioned to allow our large fields and lack of overcrowding to give a hunter a special outdoor experience. With several thousand acres of remote farm land available to hunt on our ranch, overcrowding and over hunting pressure is never an issue. We hunt over very large managed and scouted fields along with tanks/ponds. Day and package hunts available.We hunt and manage prime ranches that Traditionaly hold big numbers of birds ensureing you a quality wingshooting experience. Hunts start out at $100 per hunter. Our dove day hunting takes place over and around food plots of Hybrid Black Oil Sunflowers, Brown Top Millet, German Foxtail Millet, Seasame and Milo. The hunts take place in the river bottom just west of Katy, Texas .This is not your ordinary Katy Prairie dove hunt. We have 10 + food plots that are spaced out over thousands of acres. The plots range in size from 5 to 20 acres with over a 100 total acres planted just for the doves. Many of the doves roost on the properties as well as in the city limits of Brookshire. If your looking for some exciting early season wingshooting action, then book one of our dove hunts. We offer both day hunts and weekend package hunts. Our dove hunting is conducted in the south zone. South zone dove hunts take place along the coastal areas 45 minutes to an hour from Houston. Texas Dove Hunting in the south zone opens on the Friday closest to the 20th of September. South zone hunts take place over grain fields, plowed ground, water holes, and fallow pasture. High expectations: We take a lot of pride around here in being a small family run hunting operation with no desire to grow beyond our means. The goal has always been to grow at a rate we could handle and still maintain a high level of service. It's not always easy to reel in my own enthusiasm, but I believe keeping this thing in perspective has helped us be able to provide a consistent product to our hunting clients. We are located out of Katy, Tx and offer some of the finest hunting in this area. We offer day hunts, seasonal leases, and we do also sub contract out portions of property for dove hunting. Some of the very best dove hunting in Texas, best dove hunting in Texas. Large fields of sunflowers and dove weed attract the local birds for the early part of the season. The three counties (Brown, Coleman and Callahan) lie in the fly away of the more mature doves that generally migrate from Kansas and Oklahoma during the latter part of the season. This is truly the test of a hunter and the delight of those who like to see and pursue birds in their natural habitat. Feathered Skies Outfitters is the Texas Panhandle's newest outfitter. Our dove hunting properties consist of agricultural farmland and playa lakes. During the season, our guides are in the field scouting every day to make sure we are always on the birds! A maximum of 24 people are allowed per weekend. Lodging is provided with the use of a kitchen. (Hunters must bring their OWN FOOD). September 1st, seems to be like a National Holiday in Texas. North Zone Dove hunts are conducted in Brenham Tx and surrounding areas. Morning and Afternoon hunts are available. South Zone opens up on September 23rd this year and these hunts will be in El Campo Tx. Transportation around the field is provided and an iced down K2 cooler for your drinks. El Campo dove hunts are over sunflower and milo fields and have been seen on MOJO Outdoors TV. In addition to quail hunts, the Herradura accommodates large groups for mourning dove hunting as well as guided hunts for Rio Grande turkey. The plentiful moisture in the last few years has also been beneficial for our upland bird populations. Dove hunting is a 3 day - 2 night package, arriving the first day of the hunt at 1:00PM and departing the third day after lunch. The package includes: meals; lodging; maid service; transportation while hunting on the ranch; guide service (1 on 5); drinks; game cleaned and packaged. Joshua Creek Ranch is also delighted to announce the extension of your wingshooting opportunities during the year with the addition of exceptional dove hunting packages on dozens of leases scouted daily within just a short drive of the ranch. While it's still too warm for our dogs to begin scouring the pastures, dove season is in full swing come September 1st. Anyone that has experienced the dove hunting just southwest of San Antonio can vouch to it being some of Texas' finest white-wing and mourning dove hunting! DOVE HUNTING IN SOUTH TEXAS IS A TRADITION THAT IS ALMOST SACRED AND ENJOYED BY ALL GENERATIONS! With grain fields in the area surrounding us , and an unlimited supply of water available via irrigation wells on the ranch, we can keep multiple tanks filled, assuring hunters of the best possible hunting possible in South Texas. We do not crowd hunters, and lease none of our land to outside parties; therefore, we are able to position hunters in numerous locations. Bring your guns, shells, a cooler of cold beverages, and prepare for an afternoon of relaxing fast action shooting. WE ARE IN THE SOUTH ZONE FOR MORNING DOVE HUNTING, AND THIS YEAR CAN TAKE ADVANTAGE OF THE EARLY WHITE WING SEASONâ€¦.. (35 MINUTES FROM CORPUS CHRISTI) - CALL FOR PRICES! We are to some of the best dove hunting in Texas. Catering to hundreds of dove hunters we have the experience and the know how to ensure your hunt will be top notch. Most guests compare our dove hunts to old Mexico but without the hassle. Several factors work together to produce fantastic numbers of dove. We are right in the middle of the largest fly-way in South Texas. Lots of water in the area. Large grain farming operations. Massive acres of brush for nesting and roosting. We have morning and afternoon hunts available in both the Central and South Zones. Lone Star Guide Service offers guided saltwater fishing trips to Baffin Bay and Rockport, Texas area bays for trout, redfish and drum. Wade or drift, live or artificial. Anglers and hunters of any age and experience are welcome. Lone star guide service offers guided hunts for Whitetail deer, Nilgai, Quail, Turkey, Dove, Duck, Hog and Javelina on prime Texas and Mexico Ranches. Few things are as challenging, exhilarating, and relaxing as dove hunting! Like many places, we hunt our mourning doves over water holes. However, instead of being limited to one or two tanks, the Mariposa has thirty-two ponds from which to choose. That gives us the edge retaining and finding birds since they tend to relocate periodically and after each cold front. This also enables us to accommodate larger groups of hunters and allows us to rest the doves by closing the tank(s) for a few days after an afternoon of shooting. The area around each pond has ample cover and plenty of open space for unobstructed shooting. All the water banks have been sloped and bladed. Periodically, we shred the grass and weeds in the area to aid in cattle trapping and roundup. This also entices the doves and makes it easier for the hunters to locate the downed birds. Unless you travel abroad, you will not find a better dove hunt than on the Mariposa Ranch. Doves over grain fields, wild bobwhite, blue quail, or Rio Grande gobblers...no matter your passion, our ranches offer thousands of acres of prime habitat in South Texas. If it's dove hunting or any other game you're interested in, we can accommodate it. From September through May, there is rarely a week in Texas when bird hunting aficionados will ever run short of options. For corporate groups, fathers and sons, families or friends, there is no better way to spend a weekend in Texas, with bird hunting packages that provide prime locations for enthusiasts. Our dove hunt includes lodging and a guide to take you to and from the dove hunting ranches. Here at Oxferd Outfitters we hunt over sunflower fields and crops with mowed strips to improve the flight patterns and numbers. We also hunt over ponds and plowed ground. We make sure we do our best to prepare the hunt for success by scouting and patterning birds. Sure, doves fly - but we can drive. So before you arrive, we scout out the best locations we have so you are on the birds! There is no sound sweeter than shotguns blasting and happy campers at the grill talking about good times and making lasting memories. We care if you have a successful hunt - it's our passion and we love it! Paradise Hunting Club has secured 5 different locations of, goatweed, plowed ground with treelines & ponds, in the central and on the west side of Houston. The central zone areas are in the Katy area. Pipe Creek Ranch has an abundant supply of white tail deer, wild boar, wild turkeys, ducks, and dove. With 17 miles of game fence, the deer herd has been under a managed program for decades. We offer limited hog and turkey hunts while staying at the Lodge. Contact us for more information. With land all over Texas, Prone Outfitters’ can accommodate your Texas dove hunting needs. Prone has thousands of acres of planted fields that we will be hunting.These fields include sunflower, wheat, milo, and corn. Our Texas Dove Hunts can be daily hunts or three day two night packages. You are allowed 1 limit per day. Guides will be on-sight to take you to and from hunts. Guides will also be responsible for cleaning all birds. 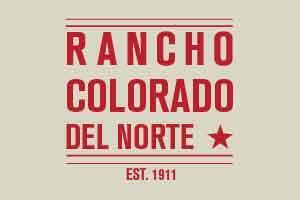 Rancho Colorado del Norte is located in the Central Zone of Texas for dove hunting. Also, we are one mile away from the South Zone in D’hanis, Medina County Texas. Our general geography is among many surrounding farms growing corn, cotton, maize, and milo along with neighboring watering tanks. Local Mourning Doves, White Wing birds are available to hunt. Two-fifty-acre tracts are available to hunt which offer treed fence lines and flight lines along with sunflowers, dove weed and coastal growing in the fields. Some years, we have hundreds and hundreds of birds and other years not as much. Its also up to Mother Nature. Venado Grande Dove Hunts. Rancho Venado Grande has been developed to achieve THE superior South Texas hunting experience for our hunters, friends, and guests. We have had, and continue to have days of over 20 wild conveys of birdsOur expert dog handlers and trained pointers put clients in pursuit of wild quail. We hunt excellent habitat managed for quail hunting consisting of native grasslands, manicured brush, and plenty of cover and water. Clients hunt out of 4x4 vehicles with quail seats and dog boxes designed for comfort. These vehicles carry fresh dogs and plenty of cold beverages.We specialize in corporate hunts for companies entertaining customers or valuable employees. 3-Day Dove Hunts including meals, lodging, guides or 2-Day Quail Hunts including meals, lodging, guides, dogs. The mourning dove breeds in this area and migrates from northern states as well. Dove hunting in Texas can be fast and furious. We have many stock tanks, maize and wild sunflower fields to hunt over in Haskell County. Texas dove hunting is great in September and October. You can choose between a 2 day hunting package that includes lodging and meals or daily hunts with out lodging or meals. If you like to shoot, and shoot a lot, Haskell County is the place to be. Rolla Outfitters is located in the southeastern part of the Texas Panhandle. We have over 10,000 acres for clients to hunt whitetail, mule deer, hogs, predators, and dove. We offer lodging, guides, and transportation for our clients. We are not a resort for vacations. Our place is for hunters who enjoy the outdoors and love a challenging hunt. We DO NOT offer canned hunts or barrel shoots. All game is free roaming and native to our area. We do not guarantee our clients will leave our ranch with a trophy in hand. We do guarantee they will leave with an experience of a life time. A private Texas style Lodge, Wingshooting, Sporting Clays and Entertainment Facility. 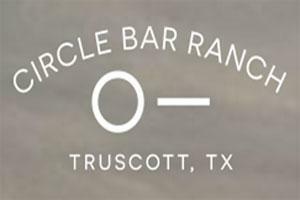 Orvis Endorsed Wingshooting Lodge.A private Texas style Lodge, Wingshooting, Sporting Clays and Entertainment Facility. Wild quail and preserve quail hunts. Orvis Endorsed Wingshooting Lodge. Located in the scenic heart of South Texas, Sandy Oaks Ranch offers the perfect setting to celebrate your life’s greatest events or to simply get away from it all. Nestled among majestic oak trees, our facilities are perfect for destination weddings, retreats or Texas shooting excursions. Our newest facility, Rose Hall, is a grand facility featuring custom ironwork, grand staircase and an outdoor pavilion complete with waterfall. Come see why Sandy Oaks Ranch is a premier destination! ove hunting in Texas has long been a favorite past time for all ages and levels of hunters. Scendero Outfitters offers a great wing-shooting experience for both mourning and white-wing dove. The Scendero Ranch is located in the South Zone of the Texas Dove Hunting Map issued by Texas Parks and Wildlife. Hunters will enjoy hunting on the ranch. We have a rich diversity of native vegetation and cover, tree lines, fence rows, water and agriculture fields. Hunts are by the half day and seasons and prices may be found on the pricing page of our site. Hunters are required to have a valid Texas Hunting license with the migratory bird endorsement and a white wing stamp is recommended.